Pressure cook the cleaned beef pieces with 2 tsp chilli powder,1/2 tsp turmeric powder,1/2 tsp pepper powder,1 tsp ginger garlic paste with 1 1/2 tsp salt,2 tsp refined oil and few curry and coriander leaves,upto 18-20 mins(adding 500 ml water). Turn off the flame after 18 mins and open the cooker lid after 10 mins time. Heat 1 tbsp refined oil, add the cooked beef pieces with 1 tsp chilli powder,1/2 tsp salt,few curry leaves and coriander leaves. Saute the beef pieces for 5-7 mins. 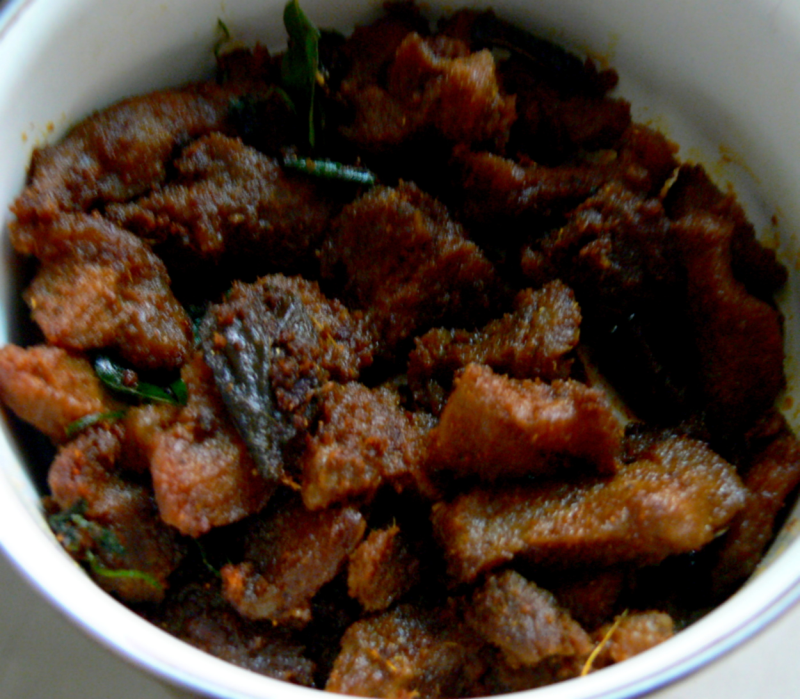 This ezy beef chops is ready to be served with rice and sambar.very tasty side-dish to try at home.